The south coast of Massachusetts, as with many colonial regions, has moved through numerous socio-economic incarnations. Starting in the 1700s, it was one of the centers of the whaling industry, the Big Oil of its day. During the 1900s, the country's largest textile production center was located here. The region has persevered through the decline and demise of those juggernauts. Today it is home to an increasingly diverse economy of leisure, higher education, healthcare, agriculture, viticulture, commercial fishing, and now is poised to become a key piece of the sustainable energy industry, as New Bedford will serve as the launching point for construction of a wind farm to be built off of Martha’s Vineyard. Many infrastructural and architectonic remnants of those earlier systems abide, making it a particularly beguiling landscape to consider. 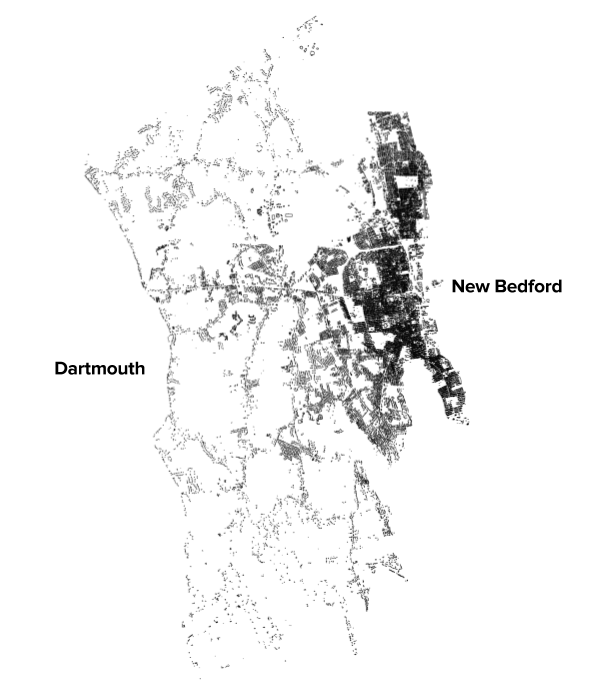 This studio will offer the opportunity to operate in either an urban (New Bedford) or a rural (Dartmouth) milieu to develop proposals accommodating an institution, The Foundation for Fine Human Beings. The precise nature of the foundation, its mission, will be determined by each designer, as a way of developing a compelling narrative. A minimum space program will be provided with the expectation that additional components will be added to fit that narrative and the characteristics of each site. This is Integrative Design Studio. The studio merges several areas of your education thus far in the elaborated design of a building. In this studio, you will develop a conceptual framework for the design that fully integrates the many systems that comprise architecture: cultural/contextual systems, site systems, environmental systems, material systems, structural systems, mechanical systems, program etc. The technical requirements will include the research, integration and representation of the many technical systems inherent in this, and every, building project.